Eminem is already back in the studio. Shady Records-signed producer Mr. Porter told Skoglund16 TV: "Right now, he in there working. We doing something else right now, but trust me, we'll get to it. "I'll tell you this: I wouldn't wanna be [Machine Gun Kelly]. It's great that you took that opportunity and did that, hey, kudos to you, good for you. "The one thing that I'm worried about . . . You remember when Thanos threw that whole planet at Iron Man? [It will be like that]." On the song, Eminem raps: "Now you wanna come and f**k with me, huh? / This little c**k-sucker, he must be feeling himself / He wants to keep up his tough demeanour, so he does a feature / Decided to team up with Nina. "But next time you don't gotta use Tech N9ne if you wanna come at me with a sub-machine gun/And I'm talking to you but you already know who the f**k you are, Kelly/I don't use sublims and sure as f**k don't sneak-diss/But keep commenting on my daughter Hailie." 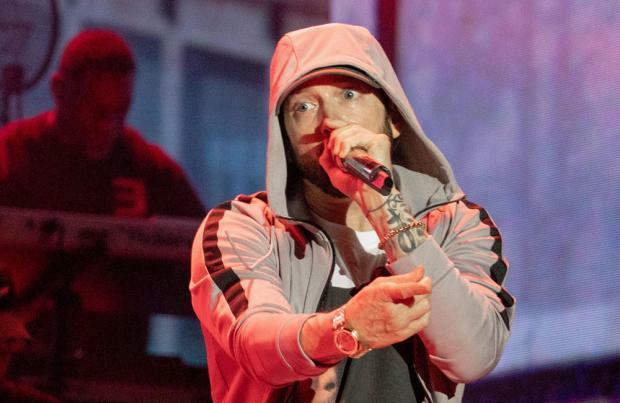 Eminem fell out with MGK in 2012 when the rapper said his daughter Hailie - who was 16 at the time - was "hot as f**k" and the pair have been feuding ever since.